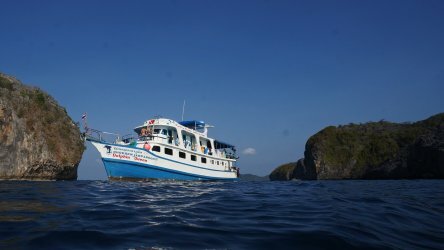 All Your Phuket Diving FAQ’s Answered! We’ve condensed all the Phuket diving FAQ’s onto one page so you can get your answers fast. 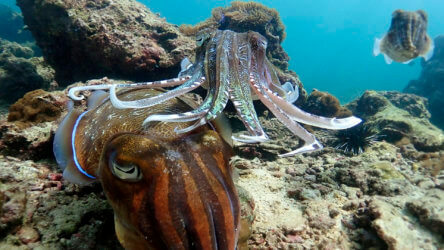 Scuba Diving in Phuket may be a little different from where you’ve dived before or it may be your very first time. Our staff are always happy to help you answer any questions you have via email or telephone but we’ve still compiled a list of frequently asked questions for your convenience. What’s The Best Time Of Year To Scuba Dive In Phuket? It really depends on your personal preference. From November to May is considered our high season, the weather is generally fantastic and the seas are calm. The rest of the year is considered low season. There is a greater chance of inclement weather but most of the time the weather is just fine. 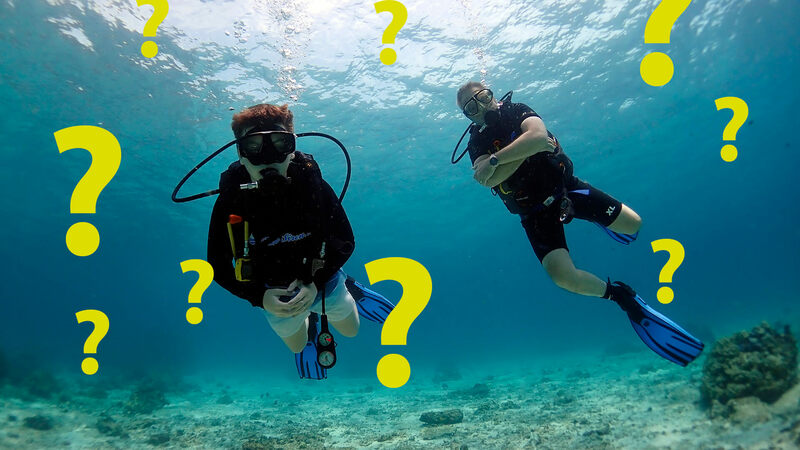 You don’t need to know how to swim to participate in the PADI Discover Scuba Diving programme or the PADI Scuba Diver course but for the latter you need to be able to float for 10 minutes. For the PADI Open Water course you need to be able to swim continuously for 200m and tread water for 10 minutes. You certainly don’t have to be olympic standard to pass the swim tests but it’s highly advisable that you become as confident as possible in water before beginning the course. Do You Pick me Up From My Hotel? Yes we do! If you’re staying in Kamala, Patong, Karon, Kata, Rawai, Nai Harn or Chalong then we will collect and return you from your hotel free of charge. We do pick up from anywhere on the island but for other locations we need to charge an extra fee. How Big Are The Diving Groups? Our maximum group size for both certified divers and students is four to every instructor/guide. We can ensure private guiding for an additional THB 1,000. A maximum of four has always been our policy but the Thai government has recently made this the law. 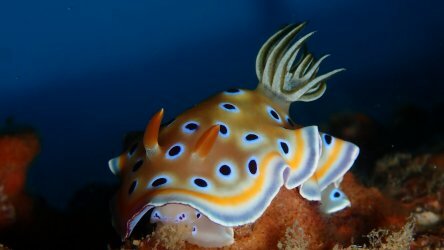 Can You Arrange A Similan Island Liveaboard? Yes we can! Our office staff and management have intimate knowledge of the liveaboards operating in Thailand. We’ve all worked on various boats in the past and covered every role. Our experience is second to none and we’ll make sure we find a liveaboard that suits you. We’ll give you honest opinions of the boats and recommend the correct option based on your needs and budget. For day trips again we supply breakfast, lunch, snacks, water, tea, coffee, weights, weight belts and of course a guide. There are some extras but mostly voluntary rather than compulsory. Pick ups outside the free zone will incur additional costs, on the boat soft drinks (THB 30) and beer (THB 60) are not included in the price and Phi Phi Island National Park fee (THB 600 for divers & THB 400 for non divers). Nitrox is available for THB 200 per fill. What Marine Creatures Will I See? Impossible to say, we do have a huge variety of marine life around Phuket from tiny nudibranchs to giant manta’s and whale sharks but we never know what you’re going to see on any given day. Diving is like this all over the world, luck is the most important skill to bring with you and please remember to do so, our guides will appreciate it. Yes we do, you can pay in either of our Patong shops or on the boat by credit card. If you want to pay everything before arrival then we use PayPal but there is a 4% fee for a full balance payment. Unless you’re taking PADI elearning then no you don’t. We work on trust and all we ask is that if you have to cancel for any reason then you give as much notice as possible. Will I Get Fed And Watered? You’ll probably get overfed, our cook prepares all the food fresh onboard. There’ll be a hearty breakfast, a very tasty Thai lunch, pancakes and banana fritters after the last dive and fruit and snacks are available at any time. We have two water stations onboard and tea, coffee and soft drinks are also always available. 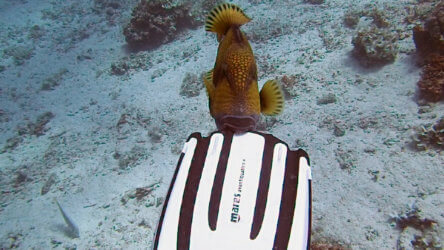 Standard rental equipment includes: BCD, regulator, wetsuit, mask and fins. All of our equipment is Aqualung and maintained by our in house technician. We take great care with our equipment and often get compliments for it’s great condition and working order. We also have computers available to rent for THB 250 per day. Our BCD’s are Aqualung Wave and HD, regulators Aqualung calypso. The wetsuits are 3mm shorties which is generally more than enough exposure protection for our very warm water in Thailand (30c). What Dive Sites Have Marine National Park Fees? Of our day trip destinations; Phi Phi is the only one that incurs a National Park Fee, it’s THB 400 for non-divers and THB 600 for divers. This is collected by National Park officials everyday. On the rare occasions that they don’t visit our boat, we will of course return the fee to you. The Similan and Surin National Parks both have a THB 500 entry fee and a THB 200 daily fee for divers. 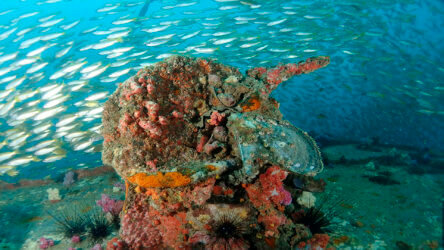 On a typical 4 day/4 night Similan Island liveaboard you will visit both parks making the fees THB 1,800 in total. We got you covered for most things but please bring swimwear and towels. On a typical hot sunny day it’s not too much of a problem but if it’s a rainy day it can make things a little uncomfortable. We also recommend that you bring suncream and please try to make sure it’s reef friendly. If you can’t find that at home then we do sell it onboard. How Long Are The Day Trips? These times are by no means absolute and we do occasionally get delays from traffic or trying to get a tired diver out of bed…. Yes we have our very own purpose built dive boat. Unlike the majority of the dive centre’s on the island who are basically just a small shop. MV Kepsub is an extremely reliable, safe and comfortable dive boat. Even when we have a full compliment of guests you can still find space to relax between dives or on the journey to and from the dive sites. Absolutely. Our boat is fitted with a brand new nitrox membrane system that fills the tanks to a very consistent 32% EAN blend. Always better to order beforehand but if you change your mind on the day then just let one of our staff members know. If you’re not already nitrox certified then it’s no problem to get this very useful PADI specialty in just one day. That really depends on you. If you’re here just for the diving then we would suggest the southern end of the island. There’s a lot more things to do and places to eat and drink than there was a few years ago. Nai Harn, Rawai, Chalong and Kata are all in close proximity to the boat departure point. If diving is just taking a few days of your holiday and you want to enjoy the nightlife the Patong still holds the number one spot. Usually it only takes 30 minutes or so to get to the pier but occasionally traffic can make that journey twice as long. The northern beach resorts of Mai Khao and Nai Yang are becoming more popular but they’re a long way from the pier. The journey will take about 1 hr and we do have to add quite a significant charge for the transfer. Can I Get Photos Of My Experience? You can, most of our instructor/guides have a camera and are happy to take photos for you. However underwater cameras aren’t cheap and they will charge for them. This will be a private deal between yourself and our staff member so please get their contact details incase of any issues. If there’s anything not covered in our Phuket diving FAQ’s then please don’t hesitate to contact our team. Our friendly and knowledgable staff are always ready to answer your questions.